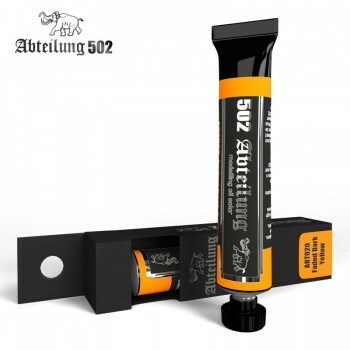 Abteilung 502 Faded Dark Yellow Oil Paint 20mlAn ideal colour to darken sand yellow tones and create different colour combinations for dust effects. Also very useful to create shades in yellowish colours for figures, flags or any piece painted with yellow tones. Warm colours are also indicated to illuminate panels and areas with higher incidence of light.